Hope can be very abstract and we’re constantly looking to define it in our project. 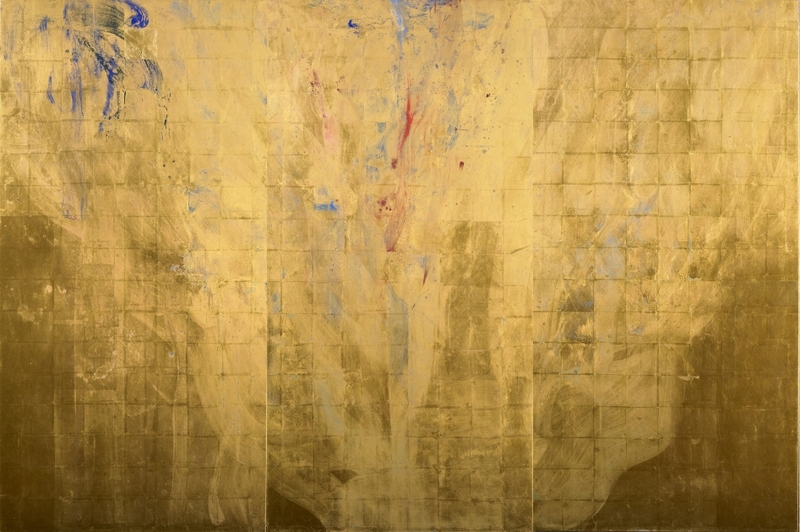 Here, we see hope in Golden Fire II, a work of mineral pigments made in the traditions of Nihonga by artist Makoto Fujimura. 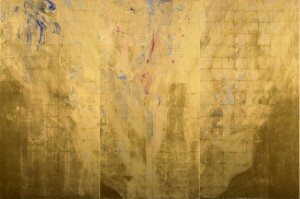 For Fujimura, fire holds in itself the themes of destruction and sanctification. The truth is, we didn’t begin Diamonds on the Street, a project of hope, for any big, noble reason. Each of us on board was actually going through a season of difficulty, and then we found out that living without hope was absolutely impossible! But where to begin infecting? Who to infect? And how? Our thoughts naturally zoomed in to those whom we felt needed to receive the good stuff most: at-risk youth and vulnerable children. And soon, we were talking to the team at Residence@St George’s and Care Club, Prison Fellowship Singapore. They were keen to work with us… Even though we have zero experience in running a music and storytelling workshop for hope. However, we do have some experience on suffering and being broken, and we thought we could share that from the bottom of our hearts, while imparting the skills we have – namely music and writing – to the youth and children. We hope all that is just gonna create more good stuff! Like, erm, music, stories, ideas, companionship, laughter, food, and conversations! Our season of workshops begin this July, and we’re kinda nervous but really eager to collaborate with the two communities. Please join and help us!